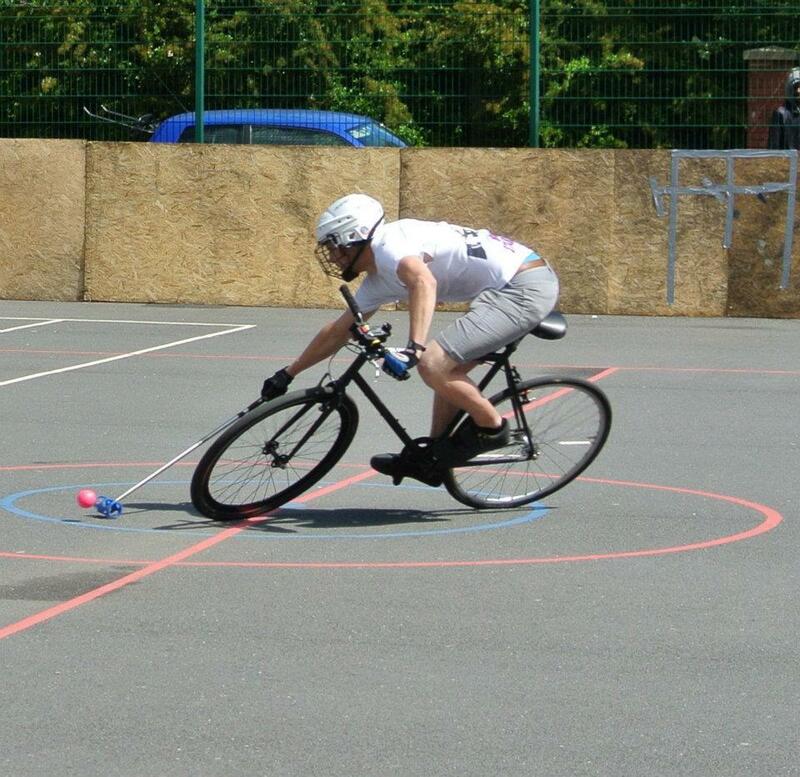 UK Champs – Black Stabbath Report | Birmingham Hardcourt Bike Polo, UK. In some shape or form Black Stabbath have been to tournaments across Europe but this was the first one Birmingham had hosted. While we didn’t have to get up ridiculously early to travel we did have to set up in the morning, which meant no ‘throw-in’ practice for us. Our first two games pretty much summed up our play for the day, a 7-0 win over Birmingham’s Troika followed by 9-0 drubbing at the hands of Dead Rapper(ldn/cam/ger), who had enlisted Mo from Edisons. 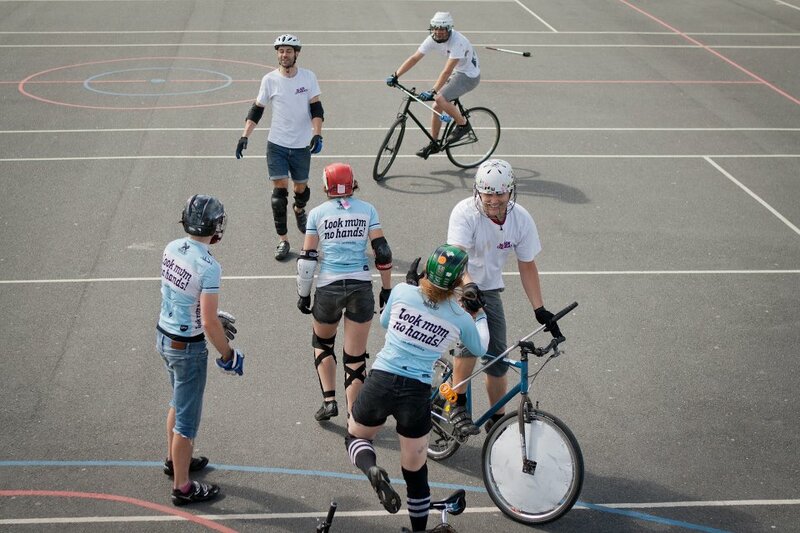 We were erratic; while we won the expected games – Sirens(ldn), Bubonic Plays(mcr) – we were found wanting against Spring Break(ldn) and Tornadoes(ldn/cam). Dan W was drastically hindered by a chest infection and unable to attack the ball with pace. 3 wins and 3 losses saw us placed in the middle of the table. 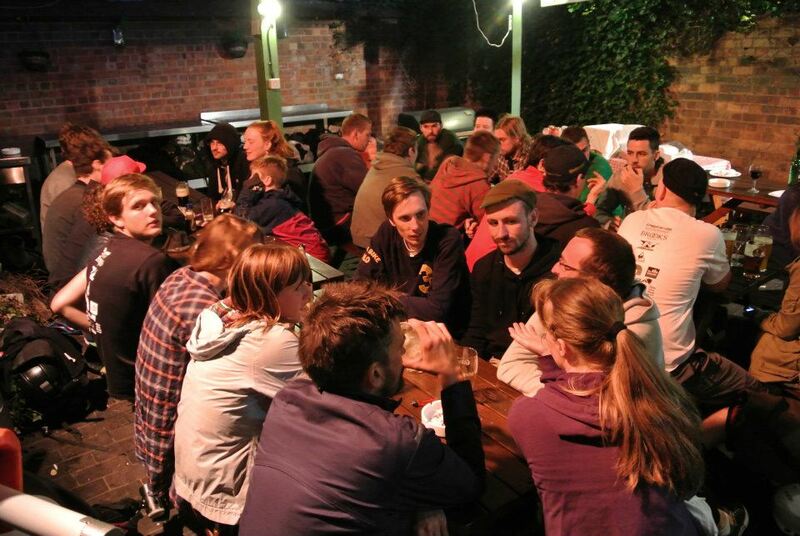 We decamped to the pub where we ate heartily thanks to efforts of Dan LJ and all the volunteers. It was great to listen and chat tactics with Ryan from Spring Break, he’s an inspiring person. We put into practice what we learnt from the previous day. A hard fought win over Bangarang(ldn/ncle) followed by a 1-0 loss to Dead Rappers. Despite the loss, I think the change in tactics worked and we were linking up well. In the losers bracket we opened up against Passed It(lnd) winning 2-0 and met up with tornadoes again, a great game which we won 1-0. Finally Nice Touch(ldn). We got the early goal but the combined strength of Cam and Josh took over and we were out, unable to score any more against Dave. All in all, an eye opening weekend which saw us placed 5th in UK with lots of kind words about our style of play, which I can only see us improving on.